Home Which 2019 Honda Accord Should I Buy? Honda has never failed to impress the US crowd with its family sedans and its Accord line of models are clearly the chart-toppers hands down. Right from driving ease to safety, Honda Accord stands unrivaled for the past 4 years. For the 2019 series, the carmaker has launched 5 models, each with its own fascinating specs and the choices are naturally causing a lot of confusion among Accord lovers. Which Honda Greer SC car should you buy? How can you select? But it’s not rocket science actually. Whether you need the top model called Touring or the basic LX, really depends on what you want from your car (and a bit on your pocket). Jot down how you want your Accord to behave and select a model accordingly. Clearly, 2019 Honda Accord Hybrid is your choice. The company claims that its EPA can go up to 45 mpg on highway with the combined powertrain. This will cost you around $26,300 where your car will run both on fuel and electricity. However, if you want to stick with gasoline, the basic LX model at $24,700 will give you 33mpg which is fairly good among all the available family sedans. If you desire power from your Accord, you will have to spend $36,000 behind the Touring model. Its engine is 2.0-liter turbocharged and will give you your required horses. Both manual and automatic options will come along to feed your dreams of easy driving and you can really make your Honda Greer SC sedan do anything. Then Honda has their mid-range Sport model which will cost you around $27,000. You will have two engine options, 1.5-liter and 2-liter. The carmaker also throws in 19-inch alloy wheels, a high-tech infotainment system, leather steering wheels and so on. Plus, you get a particular shade of red with this model which isn’t available with any other 2019 Accords. And it is that simple. But Honda has increased the price of all its 2019 Accord models from their previous figures and this may come as a pinch to many. Here again, not much has changed in the new Accords and you can always look at used cars Greer SC to get your sedan. You still get the same features but at a much lower price. 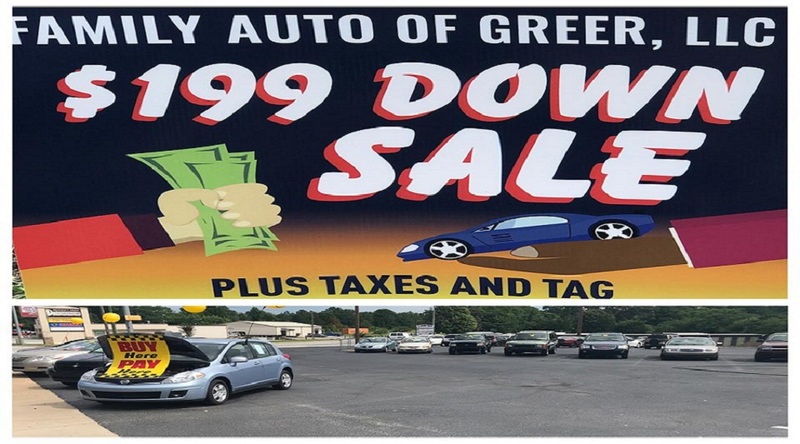 Used cars Greer SC dealerships like the Family Auto has a lot of Honda cars in their inventory. You are sure to get what you want. If you really have your heart set on a Honda but your bank balance isn’t that bright, head over to such dealerships.